Follow this link for an archive of our newsletters. 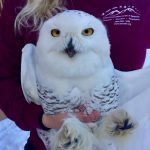 On December 21, 2017, we admitted a snowy owl from Vienna, WV. 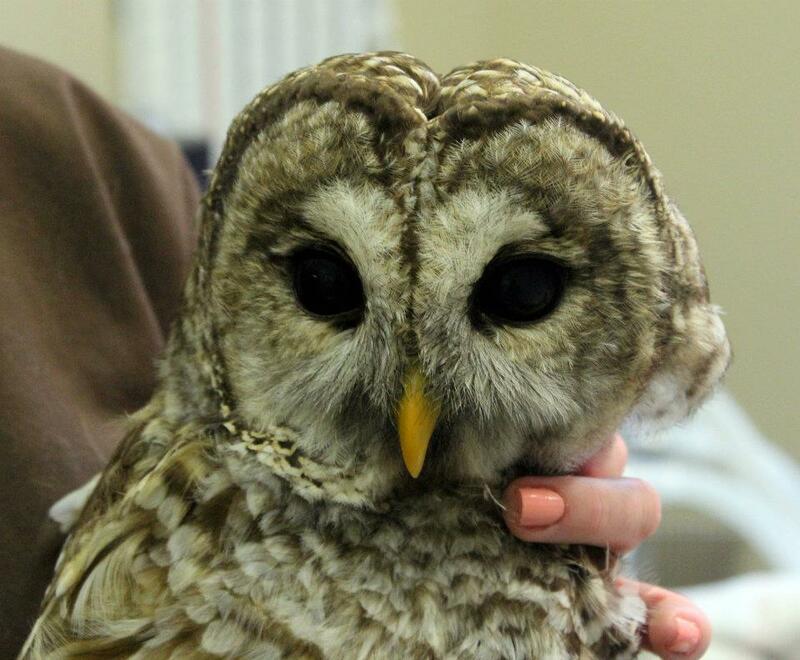 The owl had been hit by a car and suffered a coracoid fracture. (The coracoid is a bone in a bird’s shoulder necessary for flight.) We released the rehabilitated owl on January 20, 2018. 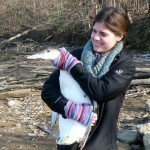 Read the entire story on our friend Julie Zickefoose’s blog, and see this article from the Marietta Times. Channel 5 WDTV story about our turkey vulture release, September 6, 2014. 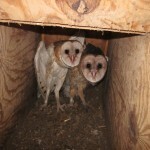 In April of 2012 three Barn Owl chicks fell more than 30 feet from their nest on the Hardy County courthouse in Moorefield, WV. While one of the chicks was too badly injured to return to the wild, after several weeks at the ACCA two of her siblings, pictured here in their hack box, or surrogate nest, were successfully released on a farm in Old Fields, WV. Special thanks to Kieran O’Malley of the WV Division of Natural Resources for his help and dedication to these owls! And thanks to the staff at the Hardy County courthouse for rescuing the babies from the cement after their falls. This Red-tailed Hawk was admitted in mid-March, 2012, from Preston County, WV. She suffered a wing fracture, probably the result of being hit by a vehicle. 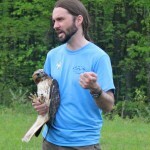 After seven weeks of rehabilitation, the hawk was released in May at Cooper’s Rock State Forest. 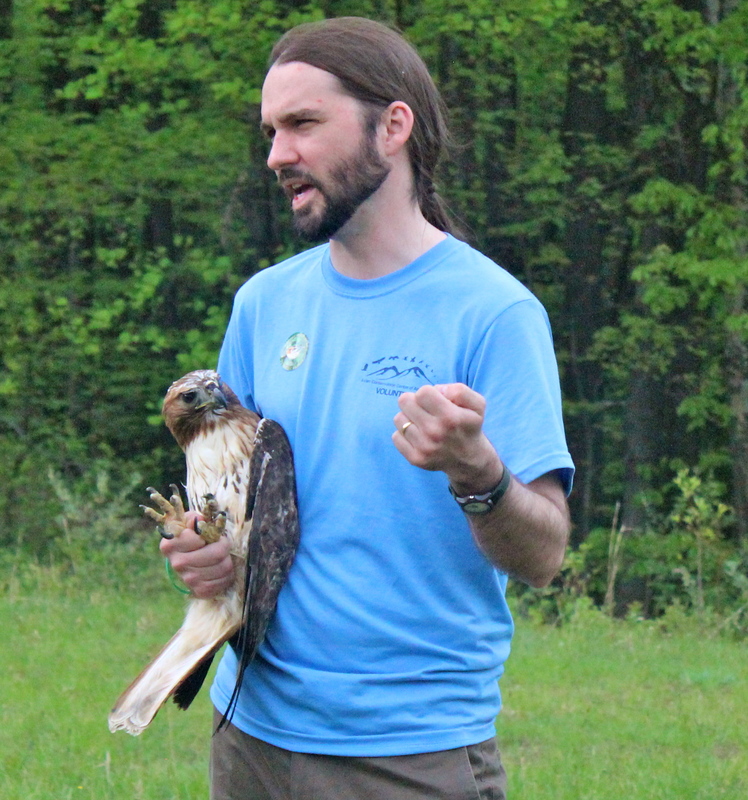 Watch a short video of Dr. Fallon releasing the hawk here. 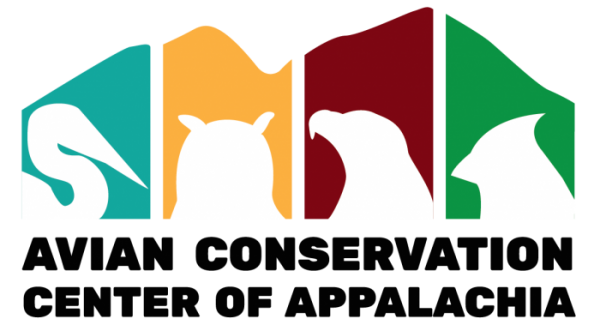 After undergoing weeks of rehabilitation, including physiotherapy and creance flying, this Barred Owl was returned to the wild near where it was found in Summersville, WV. The owl had a fracture near the end of its wing, probably the result of being hit by a car. 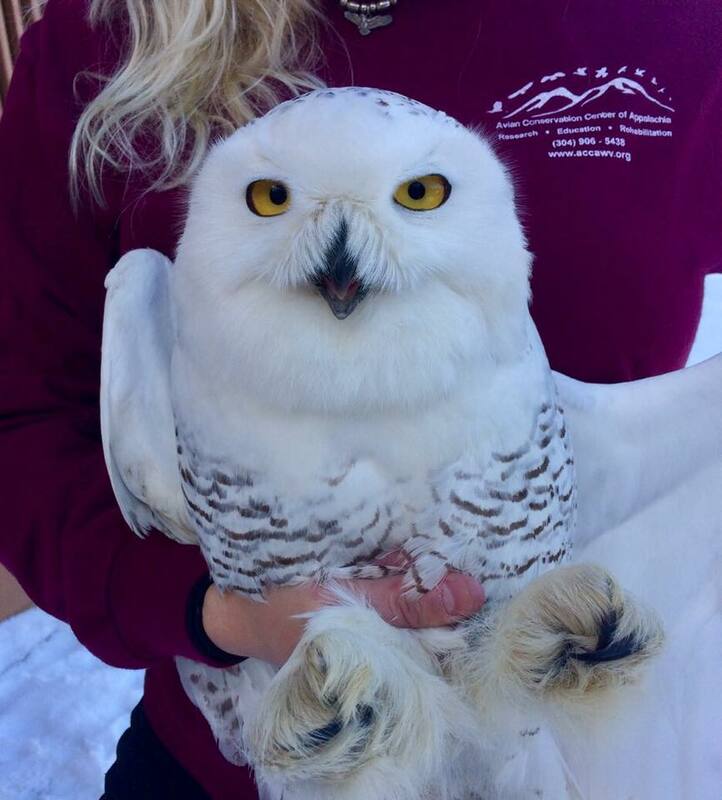 Before release, ACCA volunteers “imped” the owl’s tail — replaced broken feathers with unbroken ones. 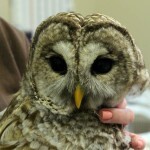 The owl was also banded before release; see pictures of the owl being banded here. 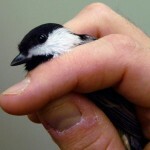 This Black-capped Chickadee fractured its coracoid bone when it flew into a window in Preston County, WV. 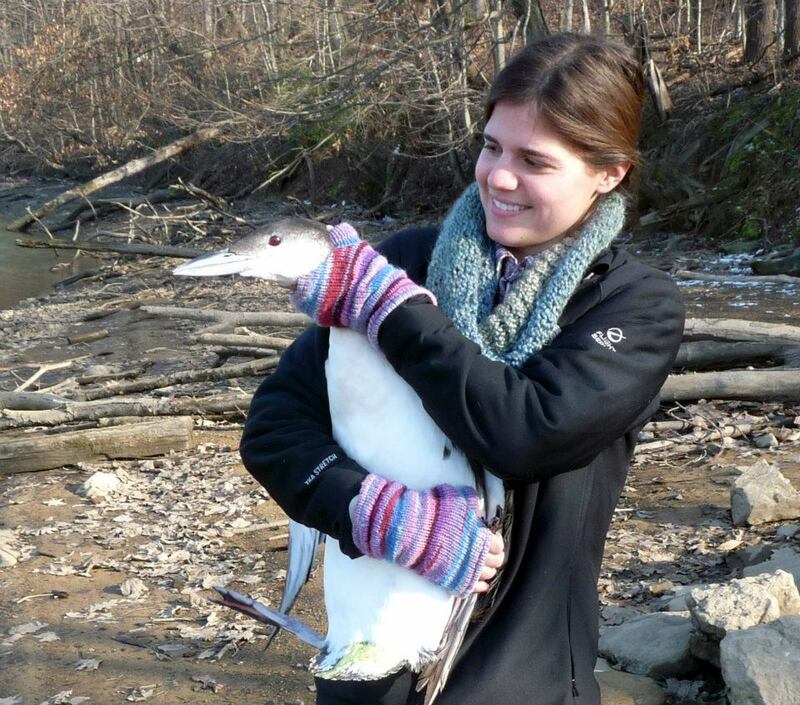 After several weeks of rehabilitation at the ACCA, the bird was released by the folks who found it. They say the chickadee still visits their feeder daily.